This meeting represented "a unique opportunity to harness some of the ideas and energy of the one sector in Haiti with the skills and capacity to reduce impoverishment from within and to help with human infrastructure." It was clear that the private sector (or many parts thereof) still retained "the leadership and entrepreneurial skills indispensable for growth" — but that potential could not be realized without well-targeted "support from donor institutions." The group dynamic impressed International Financial Institution (IFI) leaders present (including CIDA President Robert Greenhill). That perception was also "enlarged by the quality, acumen and social responsibility of the Haitian participants." 80% of Haitian education is private. 65% of children aged 5-14 don't have access to education — and that number increases to 87% in rural areas of the country. Of the 45 000 teachers in Haiti, only half of them have a grade 9 education. 35% of grade 1 students will not get past grade 7 and less than 20% are expected to carry-on beyond grade 9. Half of Haiti's schools don't have access to water. Public sector regulation of the system is almost nonexistent and the Haitian ministry can't close down schools that perform poorly because there are no alternatives. The government spends less than 10% of its budget on education (1% of GDP). Given that remarkable success enjoyed by the minority ruling-class in keeping most of Haiti's population uneducated (thereby conveniently maintaining a majority of ordinary citizens in a state of near-serfdom), it was recommended that donors should adopt an "expedited project consideration and disbursement mechanism for private sector proposals" (a "consensus that donors be asked to consider a way to rapidly evaluate and fund them" was attained). Participants reported "significant distrust between the government and private sector" (many described it as deep-seated), in part by "unethical behavior on both sides." While most admitted that the private sector should improve its commitment to ethics, one participant insisted that business "cannot afford to play fair until the laws that affect them are applied equally — without favoritism." Another noted that "mistrust permeates within as well as between sectors." Procurement officials rewarded family and associates with state contracts — while customs officials smuggled contraband. Business owners avoided paying taxes, engaged in illegal trade and bribed functionaries. These lucrative practices "excluded Haitians without government jobs or sizable assets from any share of the country's wealth." It was therefore suggested that private sector entities could assist the public sector in co-managing delivery of social/public services. This approach presented such an ideal solution for efficient and transparent management, that other areas of cooperation were identified — including the collection of "customs and income taxes" (a more equitable redistribution of Haiti's national revenue amongst themselves as we understand it). Participants cited corruption as the principal reason why large amounts of customs taxes were not collected — and stressed that international donors would have to strongly back the private sector if public-private partnerships were to survive Haiti's turbulent politics (presumably the same method used by organized crime to settle family disputes). Private sector participants expressed frustration with what they perceived as "sluggish aid delivery." Many of them attributed disbursement delays principally to "the lack of absorptive capacity by, and incompetence of, the Haitian government." In their view, "public institutions were so fraught with corruption, politicization and instability" — that they needed to be thoroughly rebuilt; in the meantime, they "could not be expected to administer hundreds of millions of dollars in aid." Some participants expressed confidence that private sector institutions and organizations could more effectively manage much of the international aid! The business leaders who make up Haiti's private sector foundations believed that their record of management, stability and transparency was clear and far surpassed that of the Haitian government. It was noted that multilateral funds are designed to offer large loans to sovereign (corrupt) governments — which have the (legal) authority to receive credit that the population at large will have to repay later (although Haiti never does because the foreign aid it receives is always stolen and ultimately a write-off). Private sector representatives underlined that funding made available for short-term projects "must be channeled through the private sector, and not through the government" (the panel did recognize politely that many industries in Haiti were monopolized or dominated by a few families, creating inefficiencies and higher costs for consumers). The Haitian private sector in conjunction with civil society leaders recommended targeting "media distortions and over-generalized consular advisories" that inhibited investment/donor engagement. "Blanket 'don't travel' advice needlessly discouraged many business visitors." Foreign investment had been discouraged by "exaggerated security warnings" from embassies — notwithstanding "international news that portrayed Haiti as bleak and untenable." International media and travel advisories harmed the business environment by creating a "negative public perception that went beyond real security concerns." Haitian private sector leaders reminded other participants that Haiti did not "compare that badly" with some countries in the region with regard to crime and violence — voicing frustration at the consequences of disproportionately negative press on travel inflows and investment. The subterfuge and cover-up: "As an outcome of this discussion, it was suggested that Haitian private sector leaders attempt to convince media and potential investors to review their perception of security in Haiti in a tour of major Canadian cities. The proposal was later expanded to include tours of other important donor countries." The experiment in bringing key members together with the international development community came to known as the Wilson House process. Following the "successful" Ottawa gathering, discussions with participants and other actors indicated that the next step should be to evaluate the private sector's role in all aspects of education, from participation to production. This project would assist the newly elected government of René Préval (and donors) in their efforts to identify shared goals for future development strategies. A second roundtable between the Haitian private sector and donors, co-chaired by the Rt. Hon. Joe Clark, was held at the Carter Center in Atlanta (Georgia) on 3-4 February 2007. It was attended by 67 participants in addition to many of those present at the first meeting (CIDA was the principal financial sponsor). As the first step in their discussions, participants assessed the progress made since their last gathering. Education topics do not however seem to have been in the forefront of their preoccupations. Instead, the development of tourism which had been identified as a "key industry to spur growth" (completely non-existent sector of activity) was described to be hampered by security issues. They remarked that the "security situation fluctuated" in Haiti but that "international media painted darker pictures than were justified." It was also explained that while political security was not a major concern, more work needed to be done in the area of police security to ensure that Haiti became a "better known and competitive tourist destination" (distinguishing comedy from serious dialogue can at times be challenging). "Haiti's reputation and public image was again singled-out as a central and cross-cutting issue for development. Haitian participants expressed concern that foreign media and institutions did not convey improvements in the country's political, economic and security climate to investors and travelers." They also mentioned the persistence of an "apparent bias against Haiti in comparison with other countries that had similar problems and levels of crime or poverty." According to several participants, a "trick of thinking" needed to occur with regards to Haiti's reputation! Manipulating standings for public consumption: Donors were urged to consider increasing transparency around those international rankings. Recognizing that the stigma attached to their conclusions was tremendous and that all stakeholders "must work to improve Haiti's image" — several participants asked donors to tell the private sector and Haitian government which ones "they paid particular attention to." For other types of private sector projects, many believed that funding from multilateral development agencies should be granted on "intended results" (the simple concept of achievement is intrinsically omitted from the equation — because donors are rewarded for setting goals with an implicit awareness from the outset that objectives need not, and most likely will never be reached). Recognizing that Canadians were increasingly conducting business abroad "including in global hot spots" — the department provided them with three streams of the Foreign Service assistance: political/economic officers, management/consular officers and trade commissioners. Policies and programs developed for Canadian "re-engagement in the Americas" called for implementing "the government's agenda on corporate social responsibility in the extractive sector, with particular reference to countries and indigenous communities in the Americas where Canada is a major mining investor." Accountable and consistent use of the multilateral system to deliver results on global issues of concern to Canadians. Greater economic competitiveness for Canada through enhanced commercial engagement and targeted support for Canadian business. Delivering commerce services and advice to Canadian business (clients are positioned to successfully exploit opportunities abroad). Streamlined and improved services to Canadian entrepreneurs and investors. Canadian economic interests in international trade and investment are supported by appropriate policies and programs through "expert legal advice." Legal advice provided on international crime issues within DFAIT and in coordination with federal partners. Timely legal information and assistance provided on international legal issues (criminal and economic law). Improved regional cooperation and mutual legal assistance in crime prevention. Expanded advocacy and programming to counter corruption. Legal support with respect to the OECD Convention on Combating Bribery of Foreign Public Officials in International Business Transactions, the Inter-American Convention against Corruption and the UN Convention against Corruption. Improved ability to combat international crime (by leading efforts to implement UN conventions and protocols on transnational organized crime/corruption). Engaging and influencing international players (Canada influences the international community on issues related to its interests and values). Advancing Canada's new approach to democracy support, aimed at enhancing the effectiveness of international efforts to encourage democratization (strategies for countries, regions, organizations and issues of priority are set government-wide). Greater international support to promote rule of law (Sustainable Development Strategy). The department uses Canada's network of missions abroad to support democratic development, good governance, security and peace building in priority countries and regions (Haiti is the largest recipient of Canadian long-term development assistance in the Americas and the second largest in the world). An integrated, whole-of-government policy for Haiti (developed for priority bilateral and regional relationships). Coordinated programming to address reconstruction, stabilization and long-term development of Haiti (the re-engagement in America strategy is designed to help strengthen accountability and transparency of public institutions in the region). Canada's implemented peace and security-related programming strategy (security system reform contribution in Haiti to re-establish rule of law and the deployment of police officers to the United Nations stabilization mission in Haiti). Use of the Global Peace and Security Fund to support crisis response, post-conflict peace-building, civilian protection and stabilization activities where "Canadian interests are implicated (e.g. Haiti)." Although Foreign Affairs Canada in its own words "is making progress on performance measurement, it acknowledges that it has much more work to do in this area. This task is complex because the department's mandate, particularly in foreign affairs, focuses on results" — such as "advocacy of Canadian positions on the world stage." MREG: Dispensing so much effort and resources to condone Haitian corruption would understandably render the chore of "performance measurement" quite difficult indeed! MP Denis Coderre (Wilson House participant), the former minister who represented a large constituency of Haitian Diaspora in Bourassa (but had been left-out of the new Liberal cabinet after his name surfaced during the sponsorship scandal), was named Special Adviser for Haiti on 26 November 2004 to network with special interest groups and help manage influence peddling. Although Martin-Pierre Pelletier, Pierre Pettigrew's Director of Parliamentary Affairs and Deputy Chief of Staff, agreed to personally contact Ambassador Claude Boucher (Wilson House participant) on 2 February 2005 after receiving a second updated deposition from the Résidence Godbout plaintiff, his decision to lend support was overturned when he advised the Canadian attorneys on March 1st 2005 that DFAIT wouldn't provide any assistance whatsoever. Prime Minister Stephen Harper's Conservative government (elected on 23 January 2006) provided Haiti with another $520 million over five years on 25 July 2006. The Résidence Godbout owner advised Canadian Foreign Minister Peter MacKay in a September 1st 2006 factum that he was willing to grant unrestricted five-year occupancy of his $500 000 property (at no charge) to an NGO specializing in reforestation, a desperately pressing issue in the impoverished country (other uses such as a hospital or orphanage were also welcome). This humanitarian initiative designed to help a destitute population with rapidly achieved tangible results would be calculatingly discarded without consideration by the government of Canada to protect organized crime. Attorneys Gilbert Léger (his alleged activities in the illegal narcotics trade were widely reported), Régine Vilaire, Martine Chevalier (her attempt to bribe a police officer is documented by law enforcement) and Jean-Frédéric Salès who warned his fraudulent colleagues about the evidence being collected against them. FOCAL had also organized a junket in Ottawa and Montréal from 10-28 to 11-01-2007 for six Haitian senators — ostensibly as a "fact-finding mission to exchange views with Canadian decision-makers and increase understanding of key issues" between both countries. Continued support for more fact-finding state visits by Haitian politicians to foreign countries. Promoting Haiti's image instead of dwelling on negative events. The difficulty of certain Haitian citizens to obtain visas for Canada (4 907 refugee claimants in 2008, second most important source nation after Mexico with 9 533). The necessity to encourage investment in Haiti by Canadian firms (a dauntingly perilous undertaking). Civil-society/judicial-system corruption poster-boys (superstars) Jean-Henry Céant and Jean-Frédéric Salès were still being promoted world-wide on the Foreign Affairs Canada Web site as of 15 May 2009 (since Ginette Martin's letter to MREG in 2006)! The Canadian government undoubtedly disagreed with that assessment. Evaluations assembled from unaccountable institutions, organizations and individuals — who collectively enriched themselves so handsomely — essentially described Canada's foreign aid programs as nothing less than a resounding achievement. If the FOCAL meeting attended by Denis Coderre, Claude Boucher and Ginette Martin in 2005 is any indication — inauspicious ratings such as those by TI will remain nothing more than an inconsequential annoyance to these give-away cartels. Conservative Minister of Citizenship, Immigration and Multiculturalism, Jason Kenney, announced on 17 February 2009 the appointment of Phrarès Pierre as an Immigration and Refugee Board of Canada (IRB) commissioner. A former Progressive Conservative Party of Canada vice-president (Québec wing) — his credentials including service (1996-2001) in Haiti with the first administration of President René Préval (Interior Ministry) before becoming chief of staff to Prime Minister Yvon Neptune (2002-2003) during the infamous presidency of Jean-Bertrand Aristide — were omitted from the press release. Phrarès Pierre's swearing-in was scheduled for 2 June 2009 — after which he would gain unlimited access to the IRB database containing detailed personal information of all refugee claimants. The administrative tribunal breached government hiring principles. Former political appointees were favored and received preferential treatment. Merit and guiding values were not met or demonstrated in appointments (contrary to the Public Service Employment Act and PSC policies). Compliance needed significant improvement in non-advertised processes. The Daily Telegraph's stunning investigation into 646 Westminster MPs' expenses unearthed on 8 May 2009 what British Prime Minister Gordon Brown later morosely described as: "The biggest parliamentary scandal for two centuries." The 18th Report was presented to the House by Committee Chair, Joe Preston (CPC), on 3 June 2009. It exempted all political party/riding association cash and benefits (received by MPs) from any restriction or public disclosure under the Conflict of Interest Code. Unable to get it "concurred in" because Ralph Goodale (Lib.) complained about the absence of a "normal type of consultation" Bloc Québécois MP Michel Guimond (whose own little classified operation during fiscal year 2007-2008 had cost Canadian taxpayers $429 082) sprang into action on behalf of his 307 colleagues — and reminded them fervently with eloquent panache: "Mr. Speaker, I do not really understand what the member means by 'normal consultation.' The four whips met." "We are members of the Standing Committee on Procedure and House Affairs, and we have been asking the Chair to submit this report for two weeks now." Disparaging revelations by journalists and observers who reported incompetence (or premeditated negligence) by Canadian government agencies were equally met with concerted if not well-orchestrated rebukes. 95% of $19 billion in international community funding was systematically siphoned-out of the county. The salaries of 540 NGO foreign employees ranged from $5 000 to $35 000 a month. Oxfam's Max Waldman (on behalf of ACBAR that represented 94 aid agencies) exposed staggering levels of waste after having estimated that £3 billion was spent on consultants. Afghanistan's anti-corruption head, Azizullah Lodin, uncovered that $150 million had been embezzled ($55 million vanished from government bank accounts). His report submitted to President Hamid Karzai in 2004 was never made public and Izzatullah Wasifi who served a 44-month prison sentence in the U.S. for heroin trafficking (sentenced on 10 August 1988) took-over that department in 2007. When the London-based Senlis Council revealed in Ottawa on 29 August 2007 that their team had found Mirwais Hospital "in dilapidated ruin" with "no evidence beyond an empty tent of any maternity program" despite a $13 million contribution by Canada, "a livid CIDA official" dismissed those think-tank findings as "inaccurate" and accused them of "distorting the facts." 80% of rural inhabitants still live in abject poverty. 4% of the population controls all foreign aid and 65% of the national wealth. Corruption "taints all levels of government and all parts of the political spectrum." Most Haitians "simply accept it as a fact of life." The perennial instability of the country "ensures a high degree of lawlessness and lack of coherent law enforcement." Conditions are ripe for the "criminalization of governmental institutions." Drug trafficking is virtually "the only economic activity with growth potential." As forecasted, Haitian groups involved in this exceedingly profitable process found solid Canadian connections to assist them with their marketing efforts — particularly from areas such as Montréal. The RCMP seized 218 kilograms of cocaine on 23 January 2005 that had been hidden in the false ceilings of two luggage containers arriving at Montréal's Pierre Elliot Trudeau International Airport aboard a flight from Port-au-Prince (Haiti). Auditor General Sheila Fraser reiterated in her report to the House of Commons on November 3rd 2009 that CIDA "has not put in place the required management processes to implement and monitor its aid effectiveness commitments concerning alignment, harmonization, the use of program-based approaches and sector focus." Concurrently, Ottawa understood the need to hide embarrassingly colossal waste by DFAIT and CIDA from voters if those agencies were to survive in their present form. An Ekos Research Associates poll released on 14 September 2005 revealed that 43% of Canadians espoused increased humanitarian aid to poor countries, a sharp increase over eight months since January 2005 when only 31% advocated greater spending. Publicity generated by the Asian tsunami, G-8 summit and Live 8 concerts sustained this trend. 89% of Canadians designated illegal drug trafficking as a pursuit most associated with organized crime. 84% of respondents singled-out organized crime as a serious threat to the country. 48% of them asserted having been personally impacted by organized crime, with seven out of 10 wanting improvement in the federal government's level of effort to combat it. Citizens were bringing into question the general principles of deference. 48% of Canadians thought the federal government "didn't care" — while 28% perceived it as "crooked." Ethical standards were a leading priority for the public and seen as problematic with politicians rated at 21% in that category. Public servants obtained higher trust scores at 49% — and paradoxically graded themselves with a generous approval tally of 86% (APEX members). The importance of overall public interest to influence government decision making stood at a dismal 16%. 62% for requiring fuller, immediate disclosure of all contracts and subcontracts on a central Web site within 30 days from the time they were awarded. 52% for disclosing all donations to federal parties or leadership campaigns and posting them immediately on a single Web site. 50% for the empowerment of a truly independent ethics czar who would report to Parliament. 49% for increasing resources and authority of the Auditor General. 45% wished that all Canadians be allowed to vote for the leadership candidates of any federal political party. 42% wanted to double the resources and efforts of the RCMP in investigating these issues. 32% to ensure that all volunteer work done with political parties or leadership candidates be disclosed and posted on a single Web site. In the end, ubiquitous corruption is an affliction that Canadian politicians and bureaucrats simply dare not mention (Denis Coderre was unable to even utter the term in the House of Commons when referring to Transparency International on 26 March 2009). Characterization of the Bernier statements by opposition parties and news media in Canada ranged from unguarded gaffe to blunder. Foreign Service officer Richard Colvin had written on 24 October 2007 (end-of-mission report) that "rather than tackle this governance failure, Canada has systematically avoided it." His explanation for chronically deficient Canadian foreign aid performance: Inefective and needless spending of taxpayer dollars at inflated prices by federal officials. The priorities for politicians or bureaucrats in Ottawa are identical — namely their salaries, concealed expenses, travel perks and pensions. Attending useless conferences while drafting mountainous reams of worthless reports is the preferred pastime to make it appear as if they were actually productive. Foreign Affairs Canada officials would have moved swiftly to secure the Godbout estate for humanitarian purposes had they been genuinely concerned about the plight of needy Haitians. Catering to the whims of organized crime (by relentlessly invoking "Sovereign State" status with 'Get Out of Jail Free' cards) took precedence over conventional wisdom because otherwise there would have been no financial reward for anyone. 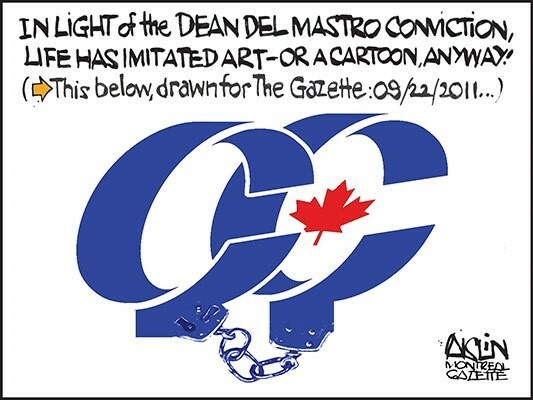 DFAIT and CIDA owe their very existence to corrupt politicians who rely on an ineffectual 24-hour news cycle that keeps taxpayers in the dark about deliberate massive misappropriation of funds. Should the electorate learn that this 8 500 member fraternity costs them $20 billion annually to uphold organized crime abroad instead of bona fide Canadian values, traditional party MPs could be replaced in Parliament by a substantial contingent of independents from Newfoundland to British Columbia. Finally: Canadian taxpayer money surprisingly well-spent! 1 FOCAL signed a three-year partnership with CIDA on 02-01-2002 (Department of Justice Canada, OAS Inter-American Convention against Corruption report by Canada, Doug Breithaupt, Senior Counsel, Criminal Law Policy Section, 2005, p. 17). It reported in 2004 (Statement of Financial Position) being funded largely by the Canadian government with CIDA contributing $728 652 ($758 475 in 2007) and DFAIT providing an additional $364 673. 2 Diplomatic appointment announced by Minister of Foreign Affairs Pierre Pettigrew on 12 August 2004. Succeed by Gilles Rivard on 10 July 2008 (named by CPC Foreign Affairs Minister David Emerson). 3 Mr. Valdés was appointed by Kofi Annan on 07-15-2004; AFP, 05-12-2005, 06-01-2005, 07-05-2005; AP, 07-05-2005; AFP, 07-28-2005; Walt Bogdanich and Jenny Nordberg, International Herald Tribune, 08-29-2005. 4 Joe Mozingo, Miami Herald, 04-26-2005; Reuters, 06-02-2005; Affaires étrangères Canada, Conseils aux voyageurs, 07-21-2005; Miami Herald, 07-23-2005; Joseph Guyler Delva, Reuters, 01-26-2006. 5 Department of Justice Canada, OAS Inter-American Convention against Corruption report by Canada, Doug Breithaupt, Senior Counsel, Criminal Law Policy Section, 2005, p. 17 (Haiti was ranked 163rd by TI). 6 DFAIT, Report on Plans and Priorities 2008-2009, Treasury Board of Canada Secretariat, Conservative ministers David Emerson (International Trade) and Maxime Bernier (Foreign Affairs): Total agency spending (financial resources) for Passport Canada Program Activity was $276.6 million and personnel remuneration (full-time equivalents) amounted to $2.633 billion, pp. 5-47, 60, 66 & 72. 7 CIDA, RPP 2008-2009, Conservative minister Beverley Oda (International Cooperation), pp. 9 & 48: Total agency spending for this period was $3.246 billion and personnel remuneration amounted to $1.834 billion ($1.795 billion in 2007-2008); CIDA, 08-14-2009. 8 Latinamerica Press, Volume 37, N° 2, 01-26-2005, p. 14; Aaron Pollack and John Tyynela, Rights Action, 01-27-2005; Radio-Canada interview, Hugo Lavoie, Dimanche Magazine, 02-13-2005, broadcast at 11:21; Mark Stevenson, AP, 04-15-2005; Amy Keuhl, CIFP, Carleton University, 06-2007. 9 MREG Web site, Governance Oversight, section 1, p.7 & endnote N° 31: Canadian embassy officials in Moscow and the PMO intervened when IMP Group of Halifax was forcibly removed from its Aerostar Hotel on 08-13-2004; See the link Fraude & Corruption un examen chronologique (1999-2010) in section 10 (before exhibits) for comprehensive legal analysis. 10 DFAIT, RPP 2008-2009, p. 30. 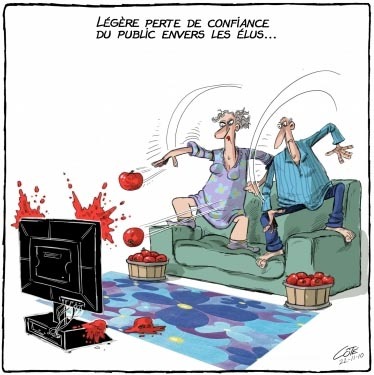 11 Michel Vastel, l'Actualité, 03-15-2003; MREG Web site, Governance Oversight, section 3. 12 Radio-Canada, 05-08-2004; Elizabeth Thompson, Montreal Gazette, 05-08-2004; MREG Web site, Governance Oversight, section 1, p. 9 & endnote N° 51. 13 Shawn McCarthy, Jeff Sallot and Paul Knox, Toronto Globe and Mail, 02-02-2004; Sue Montgomery, Montreal Gazette, 03-09-2004; MREG Web site, Governance Oversight, sections 1 & 5; Pierre Pettigrew was also minister of Intergovernmental Affairs (12-12-2003 to 07-19-2004). 14 Haiti Human Rights Investigation, Thomas Griffin, Center for the Study of Human Rights, University of Miami School of Law, 11-21 November 2004, p. 24; Montreal Gazette, 03-12-2005. 15 CIDA press release, 11-25-2005: Ministers Pierre Pettigrew, Aileen Carroll (International Cooperation), Jacques Saada (La Francophonie) and Special Advisor for Haiti Denis Coderre. 16 International Narcotics Control Strategy Report, U.S. Department of State, Bureau for International Narcotics and Law Enforcement Affairs, 03-01-2007, Volume 1, Drug and Chemical Control, pp. 208-210 & Volume II, Money Laundering and Financial Crimes, pp. 198-200; MREG Web site, Governance Oversight, sections 1 & 6. 17 No one from the Godbout estate was ever advised (until 2010) and evidentiary exhibits are kept on file with MREG's Canadian attorneys. 18 Evidentiary exhibits are kept on file with MREG's Canadian attorneys; The Gargioni property purchase and right of access acquisition were both scheduled to be completed within one month in Montréal. 19 Evidentiary exhibits are kept on file with MREG's Canadian attorneys. 21 Evidentiary exhibits are kept on file with MREG's Canadian attorneys; MREG Web site, Governance Oversight, see sections 1 & 10 for accompanying analysis. 23 Evidentiary exhibits are kept on file with MREG's Canadian attorneys; MREG Web site, Governance Oversight, see section 1 for accompanying analysis. 24 MREG Web site, Governance Oversight, see sections 1 & 10 for accompanying analysis. 25 The Conseil de la Souveraineté du Québec published on 03-29-2006 their pedagogical guide for kindergarten/elementary-school students titled Let's talk about sovereignty' that featured a youngster's drawing illustrating the Canadian flag being torn in half, and suggested building a dozen schools in Haiti with the $9.5 million contributed annually by Québec to maintain the Office of Governor General; Marian Scott, Monreal Gazette, 09-13-2010. 26 40th Parliament, 2nd Session, Edited Hansard, N° 034, 03-26-2009; TI's CPI results cited had been released on 09-23-2008. 27 AFP, 03-09-2009, Port-au-Prince, statement issued ahead of UN Secretary General Ban Ki-moon's arrival in Haiti with former U.S. president Bill Clinton. 28 Hugo de Grandpré, La Presse, 10-14-2009; Radio-Canada, 10-14-2009. 29 40th Parliament, 2nd Session, Standing Committee on Citizenship and Immigration, N° 006, 03-10-2009; Edited Hansard, N° 027, 03-10-2009. 30 40th Parliament, 2nd Session, Edited Hansard, N° 028, 03-11-2009; Hugo Meunier, Hugo de Grandpré, La Presse, 03-10-2009; Martin Croteau, La Presse, 03-15-2009. 31 40th Parliament, 2nd Session, Edited Hansard, N° 034, 03-26-2009; Lina Dib, La Presse Canadienne, 03-31-2009. 32 40th Parliament, 2nd Session, Standing Committee on Citizenship and Immigration, N° 014, 04-28-2009; Edited Hansard, N° 052, 05-06-2009; Hugo de Grandpré, La Presse, 10-17-2009. 33 40th Parliament, 2nd Session, Edited Hansard, N° 052, 05-06-2009. 34 Hugo de Grandpré, La Presse, 10-14-2009. 35 Public Service Commission of Canada (President Maria Barrados), Immigration and Refugee Board audit, 10-09-2009; Kathryn May, Ottawa Citizen, 10-11-2009; Maria Barrados tabled her 2009-10 report on 10-05-2010 showing that the number of core public service workers stood at 216 045 employees. 36 MREG Web site, Governance Oversight, section 1, p. 1. 37 Conservative MP John Williams, Chair of the House of Commons Standing Committee on Public Accounts, news release, 05-10-2005. 38 No Expenses Spared, Robert Winnett & Gordon Rayner, Bantam Press, London, UK, 2009; The lives of the lord chancellors and keepers of the Great Seal of England, Lord John Campbell, London: John Murray, Albemarle Street, 1846, Vol. IV, pp. 54-57. The old style Julian calendar began its year on 25 March instead of January 1st. France and most Catholic countries had adopted the Gregorian calendar (new style) on 5 October 1582 while England only did so on 14 September 1752. 39 Individual Member's Expenditures, House of Commons, May 2006 & May 2008. 40 Standing Committee on Procedure and House Affairs, minutes of proceedings, meeting N° 17, Ottawa, Center Block, Room 112-N, Conflict of Interest Code for Members of the House of Commons, 18th Report, 06-02-2009; CTV & Canadian Press, 06-07-2009; Montreal Gazette, 06-15-2009. 41 Individual Member's Expenditures, House of Commons, May 2006 & May 2008: Michel Guimond's travel expenses for fiscal year 2007-2008 were $120 776. Records show that he spent $394 236 during 2005-2006 ($88 511 on travel); 40th Parliament, 2nd Session, Edited Hansard, N° 067, 06-03-2009. 42 40th Parliament, 2nd Session, Edited Hansard, N° 068, 06-04-2009. 43 Standing Senate Committee on Foreign Affairs and International Trade, Overcoming 40 Years of Failure, 02-15-2007, p. 108 (Auditor General of Canada report, 11-23-2004). 46 CIDA, 08-17-1998, 03-31-1999 & 03-09-2004; MREG Web site, Governance Oversight, sections 1-2. 47 CIDA, Performance Review Branch, Corporate Evaluation of the Canadian Cooperation Program in Haiti (1994-2002), 05-2003, p. 10; MREG Web site, Governance Oversight, sections 1-2. 48 United Nations Development Programme (Haiti), Outcome Evaluation, 08-29-2003, p. 20; Elizabeth Thompson, Ottawa Citizen & Montreal Gazette, 05-15-2006. 49 Standing Senate Committee on Foreign Affairs and International Trade, 02-15-2007, p. 99. 51 Ibid., pp. XI-XIII & 97. 52 Senate of Canada, 39th Parliament, 1st Session, Proceedings of the Standing Senate Committee on Foreign Affairs and International Trade, Issues N° 11-12, Effectiveness of democratic development, 02-20/21-2007, Issue N° 13, Foreign Relations in General, 02-27-2007; Canadian Press, 02-21-2007. 53 Matthew Pennington, AP, 03-09-2007; Mike Blanchfield, CanWest News Service, 08-30-2007; Michèle Ouimet, La Presse, 11-01-2007; Tom Coghlan, The Daily Telegraph, 03-25-2008; Doug Saunders, The Globe and Mail, 05-03-2008; Kirsten Grieshaber, AP, 11-17-2009; CIDA, RPP 2008-2009, pp. 1 & 5-7; Canada at 150: Rising to the challenge, Robert Fowler: Africa in 2017 and Canada as Partner, Montréal, 03-28-2010. 54 Rapport de recherche présenté à l'ACDI par GRAP / Chaire J.W. MacConnel de développement local, 09-2003, p. 2; Upheaval in Haiti: The Criminal Threat to Canada, Stewart Prest, Carleton University, report commissioned by Criminal Intelligence Service Canada, 06-2005, pp. IV & 11 (the top 1% of Haiti's population controls 50% of that country's total wealth). 55 Upheaval in Haiti, p. IV. 56 RCMP, 2005 Drug Situation Report, major seizures, pp. 1-3; André Cédilot, La Presse, 10-06-2009; Paul Cherry, Montreal Gazette, 11-03-2009 (opening statement of crown prosecutor Alexandre Dalmau). 57 Upheaval in Haiti, p. 26. 58 International Narcotics Control Strategy Report, 03-01-2006, Volume II, pp. 191-193. 59 Auditor General of Canada report to the House of Commons, CIDA, 11-03-2009, Chapter. 8, p. 31; Malorie Beauchemin, La Presse, 11-04-2009. 60 The Roles of Public Opinion Research in Canadian Government, Christopher Page, University of Toronto Press, 2006, pp. 3-4: the federal government had been spending over $20 million in recent years; Radio-Canada, 12-13-2007 (Daniel Paillé report submitted to Public Works Minister Michael Fortier on 10-03-2007); CTV News, 09-21-2010. 61 Public Safety and Emergency Preparedness Canada, Departmental Performance Report, period ending 03-31-2007, p. 15; Mario Girard, La Presse, 09-17-2007; Jack Aubry, CanWest News Service, 09-19-2007. 62 Ekos Research Associates presentation, APEX symposium (Association of Professional Executives of the Public Service of Canada), Ottawa, 10-07-2004. 63 Ibid., best method for improving honesty (paired choice). 64 Helene Cooper and Jeff Zeleny, The New York Times, 11-03-2009: U.S. President Barack Obama had admonished Afghanistan President Hamid Karzai about the rampant corruption and drug trade that fueled Taliban resurgence; Peter Walker, The Guardian, 11-06-2009; Alex Spillius (Washington) and Ben Farmer (Kabul), The Daily Telegraph, 11-12-2009: General Karl Eikenberry, U.S. ambassador in Kabul, came out firmly (11-11-2009) against bolstering the American troop presence unless Karzai seriously addressed corruption, the same day Secretary of State Hilary Clinton reiterated U.S. concern about Afghanistan's corruption, lack of transparency, poor governance and absence of the rule of law. Foreign Affairs Canada news release, 11-13-2009: In a pathetic display of lip service to Canadian allies, Foreign Affairs Minister Lawrence Cannon issued one of those typical rhetorical statements supporting the Afghan government in tackling corruption. 65 Béatrice Khadige, AFP, 04-13-2008. 66 CBC News, 04-14-2008; Mike Blanchfield and Ryan Cormier, CanWest News Service, 04-15-2008; Isabelle Rodrigue, La Presse Canadienne, 04-15-2008; Michèle Ouimet, La Presse, 04-16-2008. 67 Gilles Toupin, La Presse, 04-16-2008; CBC News, 04-22-2008; Murray Brewster, CP, 12-13-2009 (Richard Colvin was maligned by his political masters after testifying in Ottawa on 11-18-2009 before the House of Commons Special Committee on the Canadian Mission in Afghanistan). 68 Murray Brewster, Canadian Press, 12-15-2010.